Readers of The Oxfordian — the Shakespeare Oxford Society’s annual scholarly journal — have been privy over the years to a fascinating debate between Ward Elliott and Robert Valenza on the one hand and John Shahan and Richard Whalen on the other. 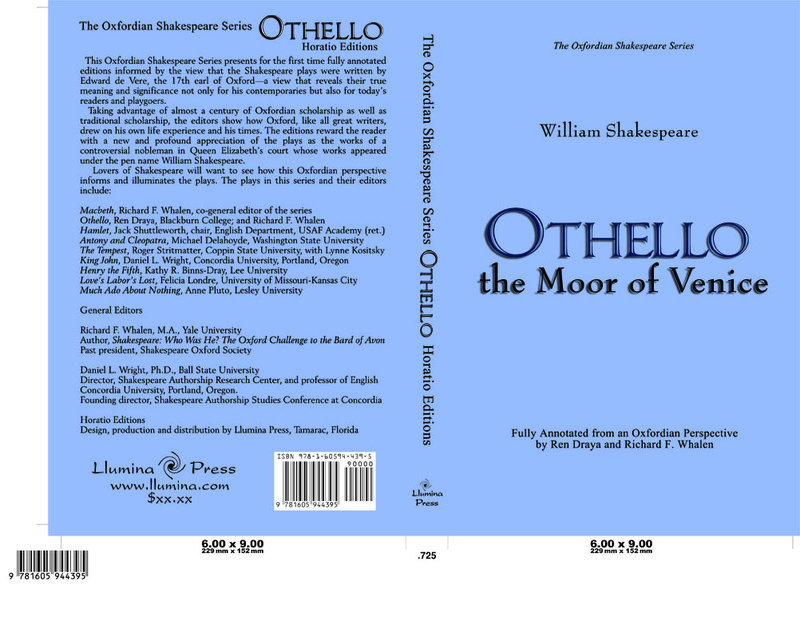 In several articles published in The Oxfordian, Elliott and Valenza have made the argument that their stylometric analysis effectively eliminates Edward de Vere, the 17th Earl of Oxford, as a viable authorship candidate of the works of William Shakespeare. In response, Shahan and Whalen have mounted a vigorous critique of what they assert are exaggerated claims made by Elliott and Valenza. The Shakespeare Oxford Society is delighted to bring this important exchange to a wider online audience by posting three of the most recent articles in this debate to the SOS website. Here, then, are the links to these three, newly posted articles. Enjoy! And here is the link to the page on the SOS website where many articles published in The Oxfordian over the years are available for readers to download and enjoy free of charge. Simply click on this link and then scroll down the page. 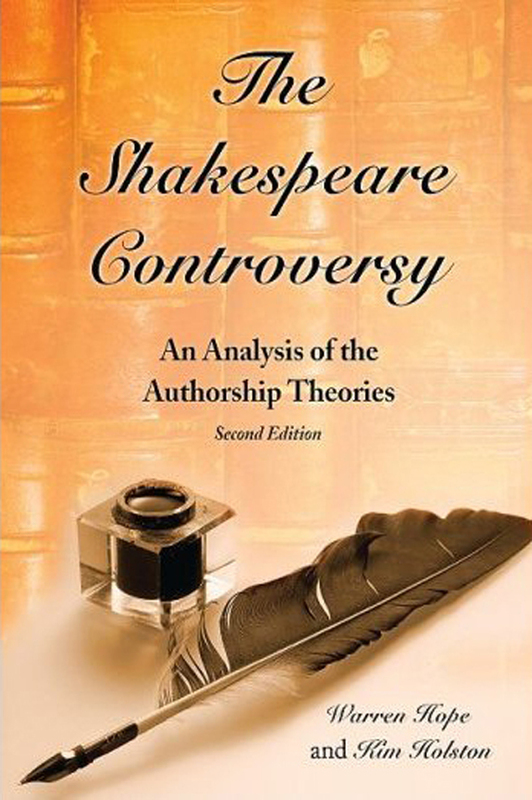 You’ll find a treasure trove of intriguing articles about the Shakespeare authorship issue generally and the case for Oxford’s authorship of the Shakespeare canon in particular. On the subject of stylometrics, I would also call your attention to the following, previously posted article by Shahan and Whalen. Visit www.Shakespeare-Oxford.com to learn more about the Shakespeare Oxford Society — Dedicated to Researching and Honoring the True Bard. Membership information is available by clicking on this link. May 2010 Shakespeare Oxford Newsletter Goes To Press — If You’re Not an SOS Member, You’re Missing Out! I’m sharing below the excellent lead story that will appear in the forthcoming SOS quarterly newsletter. This piece was written by co-editors Katherine Chiljan and Ramon Jimenez. Why am I sharing this with the world? To show you what you’re missing! Normally only SOS members get first crack at seeing the articles in our quarterly newsletter. But I wanted to let SOS Online News readers see this excellent article and thereby encourage you to join the SOS. This lead story is just the proverbial tip of the iceberg. The newsletter is chock full of high-quality, insightful articles and reviews. SOS members in good standing in 2010 are among the fortunate few who will be receiving their newsletters in the mail in the next few weeks. Non-members will be left in the dark … and really should consider joining the Shakespeare Oxford Society to keep up with fast-paced authorship and Oxfordian developments. To join the SOS or renew your membership online, click this link. The process is quick, easy, painless. Membership in the SOS does have its privileges … like receiving our newsletter and our annual scholarly journal The Oxfordian — which is mentioned in glowing terms in the lead article below. So go ahead: click and join. You’ll be glad you did. If you have an open mind on the authorship issue and want to learn more, we’ll welcome you into the SOS with open arms. 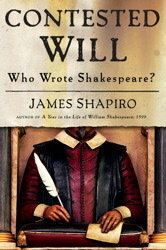 The Shakespeare Authorship Question has reached a new level of legitimacy upon the fresh release of a book devoted to the topic by English professor James Shapiro, Contested Will: Who Wrote Shakespeare? The major media has embraced the book, and the controversy, by featuring interviews with Shapiro and reviews of his book online, and in English and American newspapers. Academics have long ignored, dismissed, and even ridiculed those who doubted the Stratford Man as Shakespeare, but the public’s fascination with the controversy has put them on the defensive. Shapiro, in his recent interview with The Wall Street Journal (April 2, 2010), admitted his fears about this surging public attention. He stated that Roland Emmerich’s upcoming film portraying the Earl of Oxford as Shakespeare, “will be a disaster for those of us who teach Shakespeare.” Yet he also stated that Shakespeare was a “court observer” due to his having “performed at court over 100 times probably in the course of his career …” Although Oxfordians would agree with the former statement, the latter about the Stratford Man is a fantastic piece of guesswork. In recounting the recent history of the authorship question, Niederkorn also remarks that The Oxfordian, “the best American academic journal covering the authorship question, publishes papers by Stratfordians. By contrast, there is no tolerance for anti-Stratfordian scholarship at the conferences and journals Stratfordians control.” Niederkorn’s piece was chosen as the book review of the week by the National Book Critics Circle. Perhaps the most notorious Shakespeare-related book of the last decade, Contested Will has already been reviewed in Publishers Weekly and The Chronicle of Higher Education, The Los Angeles Times, salon.com, The Economist, The Sunday Times, The Telegraph, The London Review of Books, The Guardian and The Independent and others. The book was also reviewed on the SOS’s website (SOS Online, Archives, Dec. 2009). Oxfordian scholars Richard Whalen and Tom Hunter provide additional reviews in this issue on pp. 7 and 12. It appears that the Anti-Anti-Stratfordian movement is “at last gasp,” to quote Oxford’s phrase in Cymbeline (1.5.53).